Sunday marks the 30th anniversary of Discovery Channel’s Shark Week. I’ve been watching this annual epic of jawesomeness since the beginning, and, given that Christmas In July is also being celebrated here in the States at the moment, I thought it was past time to dust off a little something I composed ten years ago and share it with all of you. Here it is…Jingle Sharks—so named because Shark Week is the most wonderful time of the year. We’ve ruled cable TV for three decades in prime time! Ohhh-oh-ohhhhhh! It is with great excitement that I share with you today the interview I did for the Thousand Scar blog. Many thanks to author and fellow SPFBO entrant, Michael Baker, for giving me the opportunity to answer these great questions. And also to author Mark Lawrence, for creating this fantastic contest in the first place! And now for the interview! I hope you enjoy it. I have been an author since the age of fourteen and write novels that incorporate a variety of different genres, including historical fiction, suspense, thrillers with a supernatural twist, and dark fantasy. 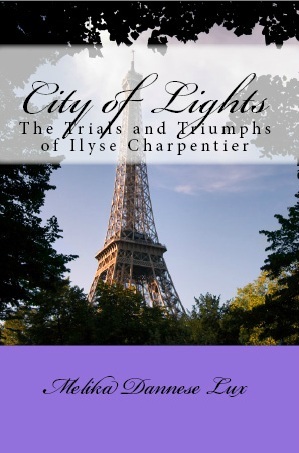 With my most recent release (and SPFBO 4 entrant), Deadmarsh Fey, I have transitioned into storyweaving fantasy full-time, but before this book, I had written an historical romance/family saga, City of Lights: The Trials and Triumphs of Ilyse Charpentier, and an historical Gothic suspense/thriller, Corcitura. 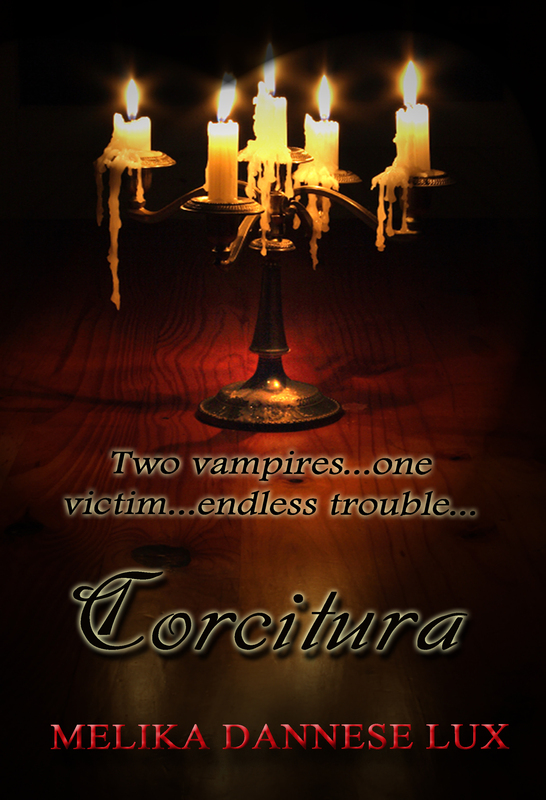 The vampires in that one are definitely in the Classical tradition and would feel right at home sharing a pint or two of Sangue de Vita with Dracula or Varney or Count Orlok. In other words, they’d sooner rip out your throat than be caught undead sparkling. Plots have always seemed to come into being after I already have a character, or set of characters, in mind. Certain paintings and other forms of art have inspired character (and story) ideas in the past, as well, specifically the works of the Pre-Raphaelites—Sir Frank Dicksee and John William Waterhouse being my favorite artists in the Brotherhood. Additionally, I have always found the work of Henry Fuseli morbidly entrancing, so much so that one version of his Nightmare ended up playing a pivotal role in Corcitura during an early scene set in the Louvre. The painting, and its ominous presence in that scene, still chill my blood to this day. The meanings and stories behind names have always fascinated me, too. One chief reason characters tend to appear first in my imagination before plots do is because I research names and their origins ahead of anything else. Then, if inspiration starts tugging and insisting and refusing to leave me in peace unless I do something with what I’ve gathered, I give in and start storyweaving from there. This is what happened with the name Deadmarsh. I’d heard it in passing in 2002, and immediately thought, “Wow! What a creepy and portentous name to build a legend around!” I never expected it would take twelve years to finally invent a story to go with this name, but waiting for the right tale to make itself known was worth it. There are many characters in Deadmarsh Fey who have Welsh names, and that was by design. If you dig a little deeper into what these names mean, you will see that I instilled traits into the characters that hearken back to what they were christened. With some of them, you would have also probably been able to hazard a fair guess as to their true identities and motivations…if I hadn’t made use of double blinds and false clues to throw readers off the scent. Being tricksy like this in my writing is one of my favorite things to do, because to have names be the sole source of a character’s reason for being, what makes him or her tick, would be to destroy the character’s autonomy—and would also be very lazy writing. Not to mention an unrewarding experience for the reader, and also myself, as the author. I have to stay engaged and be kept on my toes when crafting a novel, which is why I don’t outline, but prefer to figure things out along with my characters. It keeps things fresh and exciting, as does palming the ace as often as I can. 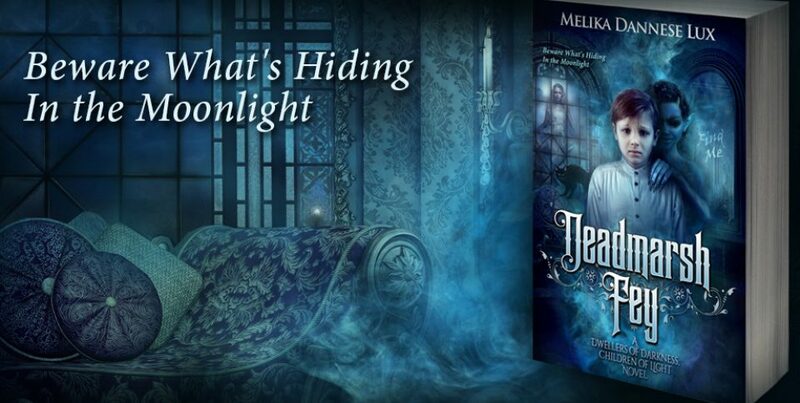 Each novel in Dwellers of Darkness, Children of Light has a different protagonist through whose eyes we see the story. In Deadmarsh Fey, this is Roger Knightley, ten years old and cousin to Havelock (Lockie), the Deadmarsh heir. Roger is a bit of a firecracker, and though he is just a child, he’s a well-read one, which has resulted in his having quite a vivid imagination. Sometimes, this exacerbates situations, yet it also means that Roger is unencumbered by the inability to accept wonder and the inexplicable at face value. Because of this, he’s able to understand and recognize the dangers the creatures rampaging out of the Otherworld and into our own pose to himself and his family sooner than the adults and certain other characters around him. He also has a wry bent to his personality, and a stubborn streak, that help and hinder him in various ways as the book progresses. And he’s obsessed with dragons. You’ll have to read the novel to find out if that’s a fatal character flaw or not. Story wise, the events in Deadmarsh Fey, though cloaked in the garb of fantasy, are about fighting for the ones you love. That is the main driving force behind Roger’s actions and those of his friends and allies. It’s not just about survival, or stopping the Dark Wreaker—a nebulous entity that has bedeviled the Deadmarshes for seven hundred years—and his servants from being unleashed upon this earth, but about saving the very souls of those who are most important to you, those you’d sacrifice everything for. And that is something that has always appealed to me, not only in storyweaving, but in life. Absolutely do NOT write what you know. That is the worst and most stultifying piece of advice I have ever been given. If I’d followed it, Deadmarsh Fey would not exist. Don’t write what you know. Write what you dream, and make sure to instill your entire being into what your heart and soul are calling you to breathe into life. The setting of Deadmarsh Fey is rural England in the late 19th century. Both of my previous novels have taken place in this time period, so I was already very familiar with the mores and history and other elements of this era. For the crafting of Everl’aria (the Otherworld that is seeking to join itself to our own throughout the novel), I wasn’t inspired so much by real-life examples as I was by the mythology of Norway and Wales, which I tapped into to create my own legendarium for Deadmarsh Fey and the successive novels in Dwellers of Darkness, Children of Light. I was also incredibly inspired by the works of Arthur Machen, an author I’d first encountered in 2007 after reading his disturbing yet fascinating short novel The Great God Pan. Once read, it is impossible to forget, but I never delved into any more of Arthur’s stories till many years later, quite accidentally, but at exactly the time I needed to most. As I discovered, he seemed to view the fey (faeries) as dangerous and lethal beings you should never trust or turn your back upon if you wanted to live. That was how I’d always imagined they truly were, so I felt I’d found a kindred spirit in Arthur, and validation for my own theories about the fey, when I read The White People and Other Weird Stories in the spring of 2013. I see this moment as the catalyst for my ideas about Deadmarsh Fey starting to coalesce—and my excitement level for the book shooting up into the stratosphere. It would be less than a year after reading this collection that I began writing the novel. From a logistical standpoint, the hardest part was realizing that Deadmarsh Fey had to come first in the series. Until that realization finally sank in during the spring of 2014, I’d spent the previous year working on what would become the fourth book in Dwellers of Darkness, Children of Light. Writing this book first meant that I was trying to tell the end of the saga without knowing its beginning, which made for an incredibly frustrating experience. And yet I do not regret it, because what I wrote in that novel laid the foundation for all the legends and myths and conflict in this one. So, looking back, I see that it was necessary to go through this, since without that fourth book, Deadmarsh Fey could never have been written. On an emotional level, the ending of Deadmarsh Fey was extremely hard for me to write. Over a three year period, I’d spent every day with Roger and company, and had grown incredibly attached to all of them…but not so attached that I would force them to act out of character just to please me. In the back of my mind, I’d always known how Deadmarsh Fey had to end, but the way it unfolded was not at all what I had been expecting and made everything that came before it so much deeper and more meaningful. This change of direction was due to a character showing me that his way was the only way things could be. And he was right. There are four chapters that stand out in my memory as favorites. Now Face-to-Fey, Warnings and Visitations, Iron Reveals, and one I cannot mention the name of because it will spoil a story arc for not only Deadmarsh Fey, but book three in the series as well. Now Face-to-Fey put my plotting to the test because it offered definitive proof that things were truly rotten at Deadmarsh. Up until this moment, deniability was still plausible for some characters (one in particular), but several plot points that had been simmering away for many chapters finally exploded in this one—and could no longer be discounted. Warnings and Visitations sets up the conflict for book two, the story of Isobel Vickers and her family that I mentioned above. It was a complete joy to write this chapter, since I had been looking forward to doing so for over a year by the time I finally got to it. Iron Reveals has a HUGE, well, reveal about the creatures bedeviling Roger and his family. In my imagination, this chapter had a different tone and feel entirely, but once I let the characters take over and do with it what they wanted, it turned out even more cohesive and startling than I could have hoped for. I also indulged in some serious schadenfreude while writing this, since it was truly the first instance in the novel of the shoe being on the other foot, meaning that certain unsavory characters finally got a taste of what it felt like to be on the defensive. And then there is the chapter that must remain nameless for now. This final favorite will always be special to me because everything in it came together in a seamless and unsettling way. And quickly, too, which is always a plus! That it takes place in a library, and is bookcentric, was yet another reason I enjoyed writing it as much as I did. Deadmarsh Fey truly taught me how to let go and give the characters free reign. This probably sounds a little odd, but I’ve found that if you get the ball rolling for them, they tend to take over and make your job a lot easier. Not a cakewalk, mind you, because I still had to juggle several story arcs that needed to be resolved to make everything not only in Deadmarsh Fey, but the other novels in the series, come full circle. Yet it was exciting to get to work each day because I knew the direction the book had taken was the one that was meant to be. The book definitely made me grow as a writer, as well, and showed me that it was important not to get too attached to scenes or any other pieces of writing (dialogue especially) to the detriment of the story. What didn’t work was cut, and the novel ended up being much better because I had gotten out of my own way and hadn’t tried to force things. I try to place myself in my characters’ shoes as much as is conceivably possible, attempting to see the world of the story through their eyes, and understand why they’d react the way they would in any given situation. Of course, you can’t remove yourself entirely from the equation, but I strive not to influence their actions too much. Carver, Kip, and Incendiu, just to name a few, all went their own way, and while I do have a strong attachment to them, the greatest tie I felt when writing the book was to Roger. This was because of the range of emotions I experienced with him. As I said earlier, the entire book is told from his viewpoint (third person), and because of that, I felt like I became Roger in this story. I experienced things along with him, which meant that everything he endured, everything he felt—pain, fear, excitement, terror, disillusionment, panic, elation—I felt deeply, too. It was simultaneously exhausting and rewarding. And made it very difficult to put him through the ordeals I had him undergo. Very difficult, yet not impossible, and I felt wretched afterward, but it was what the story called for. After I finish the sequel to Deadmarsh Fey, I will be working on the next two novels in Dwellers of Darkness, Children of Light. All the books already have titles, but these are rather sensitive, so I’m holding them in reserve till I announce the publication of each novel. Right at that moment, I made my decision, and have never looked back. 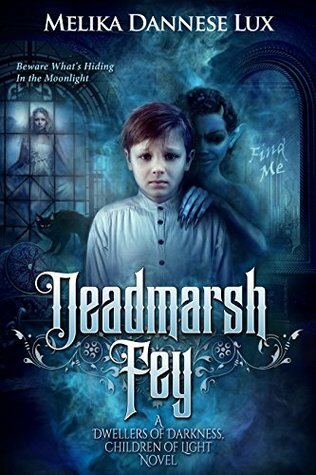 Additionally, Deadmarsh Fey is available across all Amazon sites in paperback and Kindle editions.